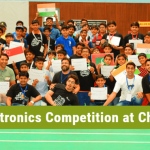 120 teams from 60 different schools and 10 different states were part of the National level of IRC League held on 10th December at The Heritage School, Gurugram. 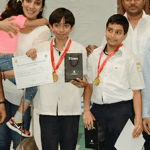 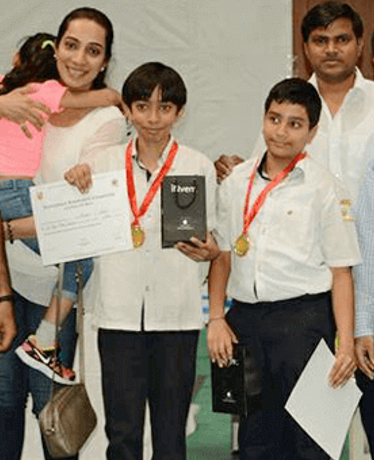 The competition saw the Robotics Stalwarts battling to win the National Championship and two teams from the Moulsari school qualified for the IRC International 2016 . 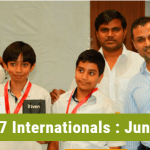 The team “Bot Builders” , Nirvan Chawla- VII-E & Arjun Gupta- VII-C won the IRC INTERNATIONAL 2016 held at Beijing, China on June-3rd.